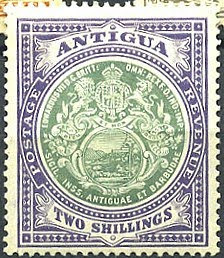 From 1908 to '20, Antigua issued a handsome set of eight stamps picturing the seal of the colony (Scott #31-38). 6,240 sets were issued, and Scott '13 prices the unused set at $187.00 . 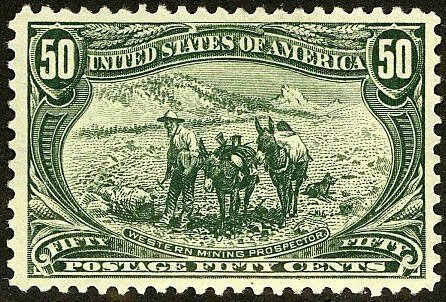 As the set was issued over twelve years, it is likely that many were used as postage and discarded. The set has dual multiple market appeal among collectors of British Commonwealth and British Caribbean. Of all of the regions of the British Commonwealth, the British Caribbean is the least popular among collectors, which is probably why the set is so inexpensive, given its scarcity. A small island nation with about 85,000 inhabitants, Antigua is mainly reliant on tourism, and it markets itself as a luxury Caribbean escape. Annual GDP growth has been flat over the past 5 years, due to the effect of the global financial crisis.